Ann has practiced aerobics and martial arts for nearly 30 years and was Judo Coach for several years for Enfield Girls Judo team for the London Youth Games. 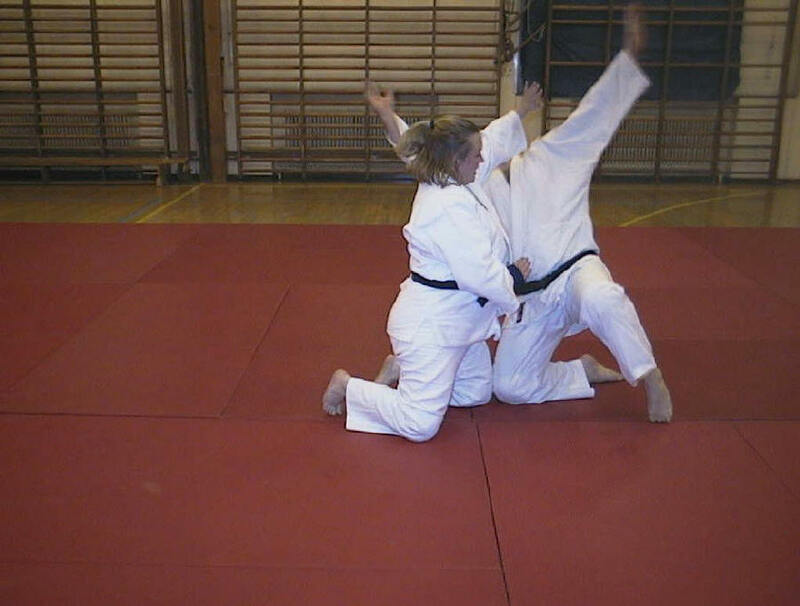 Ann has practised Aikido for over 25 years and is now an 2nd Dan Aikido instructor at the Winchmore Hill and Chingford and Woodford clubs. She as you may have guessed is married to Steve Billett. I first started martial arts in October 1983 at University because I thought that I needed to defend myself coming to London from Devon and imagining that the city was a very dangerous place. 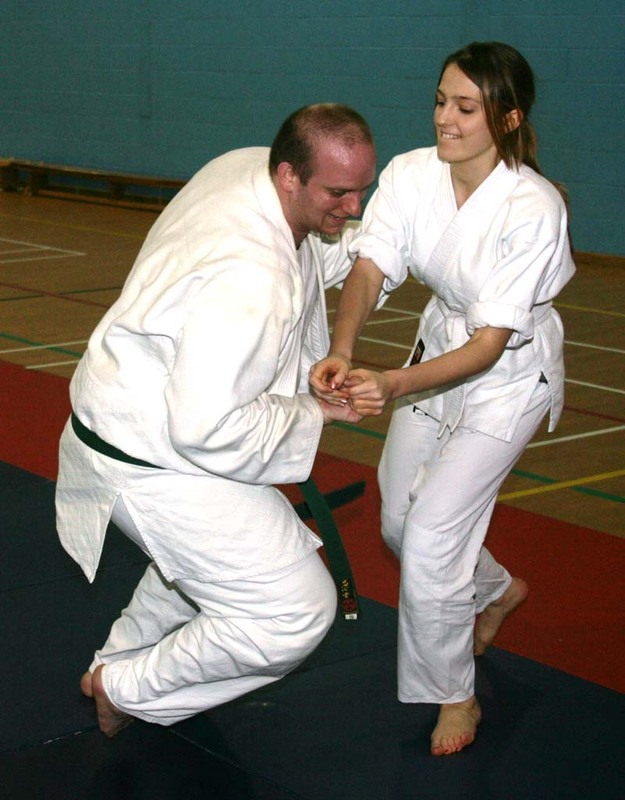 Judo was my first choice of martial art and was also how I met my future husband. I then spent a number of years practicing at City University, Stumphouse Judo Club and Croyland Road Judo Club and teaching Judo at Winchmore Hill – London Borough of Enfield, and the Mornington Crescent and Sacred Heart Judo Clubs at Kings Cross to kids from 6 to 16 years old. Our finest hours came taking coach loads of kids to shout for their team mates in the London Youth Games where over 60 medals were won for Enfield in over 3 successive Youth games at Crystal Palace. 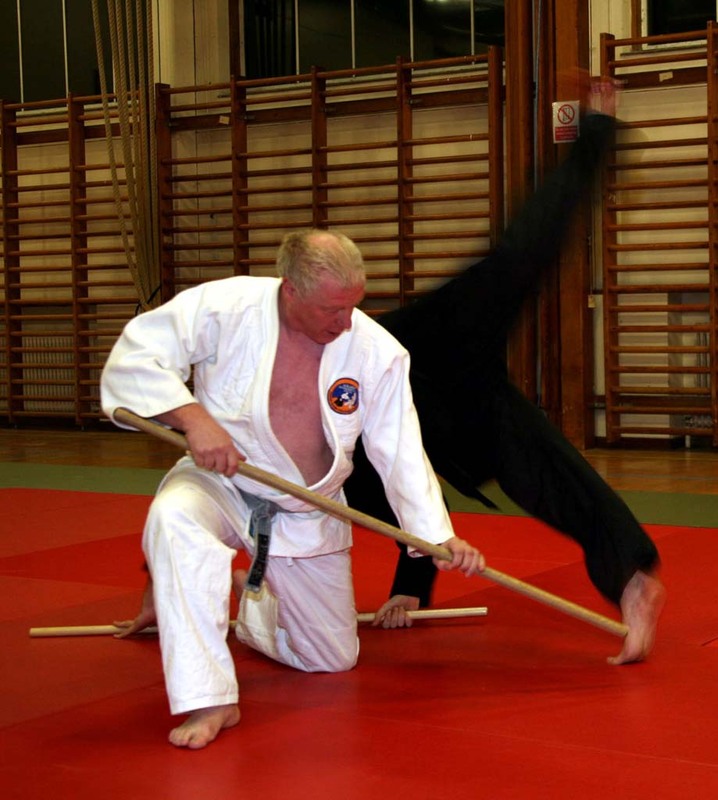 I was introduced to Tomiki Aikido in the mid eighties by Don Bishop (7th Dan ADS) and Steve Sharpe (6th Dan ADS) and have never looked back. On the way to finally achieving my 1st Dan at Aikido in December 1996, I trained and leant a lot at several Aikido clubs – Whittingham, Hayden’s Gym, David Lloyd Chigwell and Winchmore Hill, and enjoyed both teaching Aikido and participating in several charity events – British Aerospace Cheshire Homes open days, Enfield Town show, Kids sports development in inner London, Hayden’s Gym open day to name a few. In nineties I also found time to gain both my British Aikido Board Coaching Award and my RSA Aerobics Instructors Certificate teaching Aikido in the evenings and a few aerobics classes at lunchtimes at British Aerospace, Hatfield. Being vertically challenged (short in plain English) and female I have found Aikido to be the perfect martial art for me. For me the true skill is to know and understand my limitations and to watch for the mistake in my opponents’ moves, using their power and speed against them, timing the perfect move. I enjoy weapons as well as hand to hand combat and I always enjoy a good drink in the bar afterwards with my friends. I have learnt through many happy, sweaty hours of training and supporting martial arts about personal challenge both physical and mental, true comradeship and the joy of teaching others.